The Kenly 95 Truckstop was founded just outside of Kenly, North Carolina along Interstate 95. Land was purchased in 1973 with intentions of starting to build the next year. As a result of the oil embargo of 1973-1974, funds were tight and construction was delayed until 1979. Once construction was began, it moved quickly. The doors were opened to the public on May 5, 1980 as Truckland Truckstop. The truckstop included a small store, sit down restaurant, and diesel fuel islands. Two years later, in 1982, the company became a franchisee of Truckstops of America. Now operating under the name Truckstops of America, the truckstop had the opportunity to associate with a nationally recognized name. Through the years, there have been many different expansion projects at Kenly 95. In 1990 a convenience store was built adjacent to the main building. The next major expansion was in 1993. Two new buildings were built to change the location of the diesel islands away from the main building. There was also an addition of a four bay mechanic shop. In 1994, The Country Pride Restaurant was remodeled. Another remodel was completed in 1998 adding more private showers and renovating the restrooms. Fast food also came to the truckstop in 1998 when Wendy’s was added. 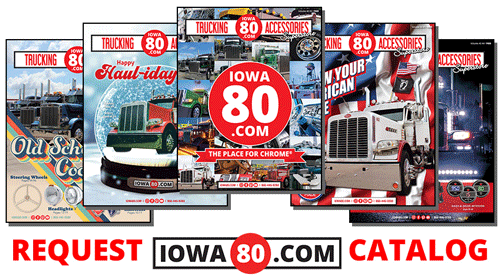 In 2004, the truckstop was purchased by Iowa 80 Group and was named Kenly 95 Truckstop. A large expansion and remodel started in early 2009 and was completed in 2010. On July 1, 2010 Kenly 95 became a Petro franchise and boasts the driver favorite Iron Skillet Restaurant. In 2012 Caribou Coffee and Dairy Queen joined the Kenly 95 Food Court. This same year, Kenly 95 held their 1st Annual East Coast Trucker’s Jamboree, a three day festival celebrating trucking. Taco Bell / Pizza Hut Express were added to our food court in Spring 2016. Kenly 95 expanded again with the addition of a large Super Truck Showroom in late 2016. The new trucking related retail area added 23,000 square feet to the building’s footprint, making it the largest truckstop on the East Coast.